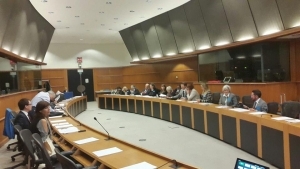 On the occasion of World Primary Immunodeficiency Week, IPOPI organised on Tuesday 26th April a policy event at the European Parliament in Brussels. Members of the European Parliament Mr. Faria, Mr Zorrinho and Mr Piecha joined IPOPI, patient representatives from 9 countries, doctors, stakeholders and industry representatives to commemorate the importance of raising awareness on Primary Immunodeficiencies around the world. Participants to this meeting commemorated their participation by signing the 2016 Call for Action Improving access to care for patients with Primary Immunodeficiencies. The celebration event featured two different sessions. The first one focussed on international developments. Ms Gabrielle Rosario, representing Primary Immunodeficiency Network of South Africa (PINSA), Ms Dragana Koruga, from Supporting Persons with Primary ImmunoDeficiencies (SPwPID/POsPID – Serbia), and Prof Aziz Bousfiha, representing Hajar (Morocco) introduced the participants to the recent developments and challenges PID patients were facing in their different regions of the world. The second session looked into Europe and the policy initiatives that could support PID patients and healthcare specialists to provide patients the care they need. In that sense, Johan Prévot, Executive Director of IPOPI, looked into WPIW’s moto “Test. Diagnose. Treat” and highlighted the different policy dossiers that had been or would be developed by the European Union with an impact on PID patients’ lives. Important initiatives such as European Reference Networks, in which IPOPI is taking an active role, or the upcoming revision of the Blood legislation were highlighted. This second session allowed for an interactive discussion amongst participants on the main activities developed on the occasion of WPIW and the challenges that still needed to be tackled in their different countries. 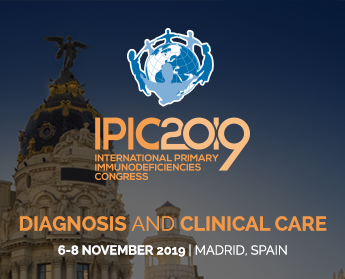 Prof Warnatz closed the event by depicting the future of PIDs in 2020 in Europe with the very suggestive idea of the immune system as an umbrella supported by good quality Test, Diagnosis and Treatment. A report on this meeting will soon be available on IPOPI’s website, along with the presentations and pictures from the event.